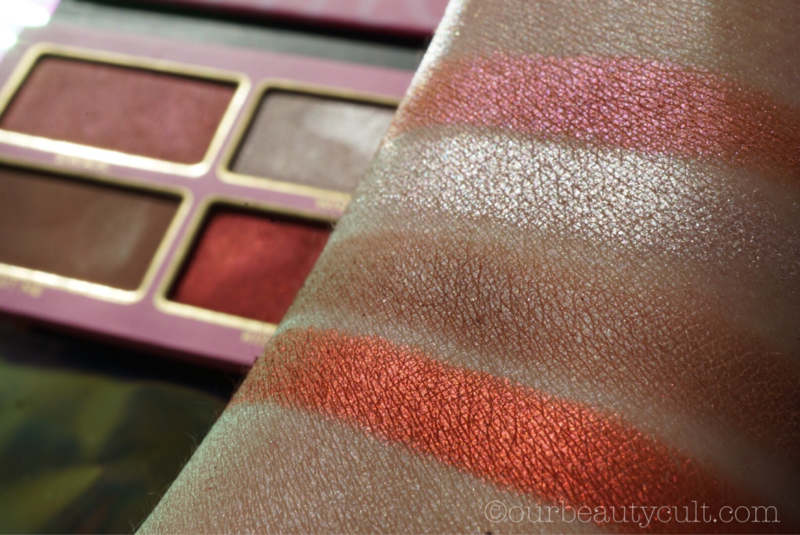 This palette was purchased however this post contains affiliate links. 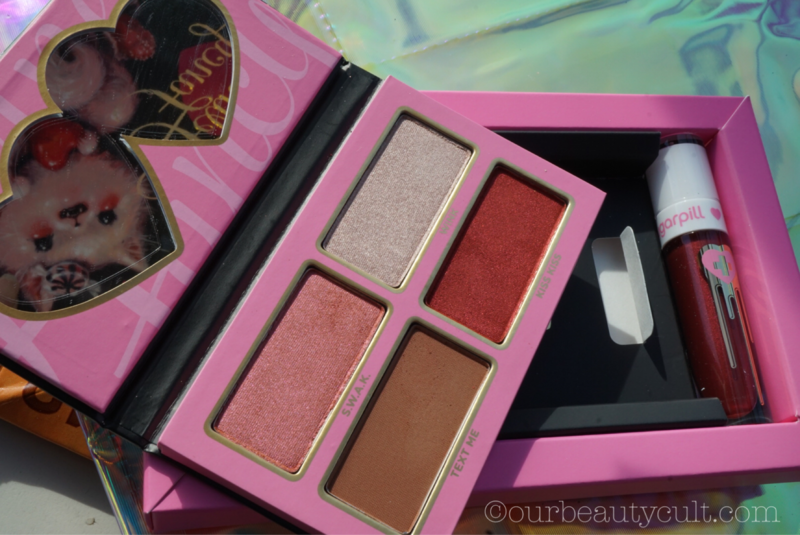 Purchased this baby on Beautylish here and It arrived with the quickness that is usual of Beautylish orders, I cannot sing their praises loud enough and their split payment convenience. 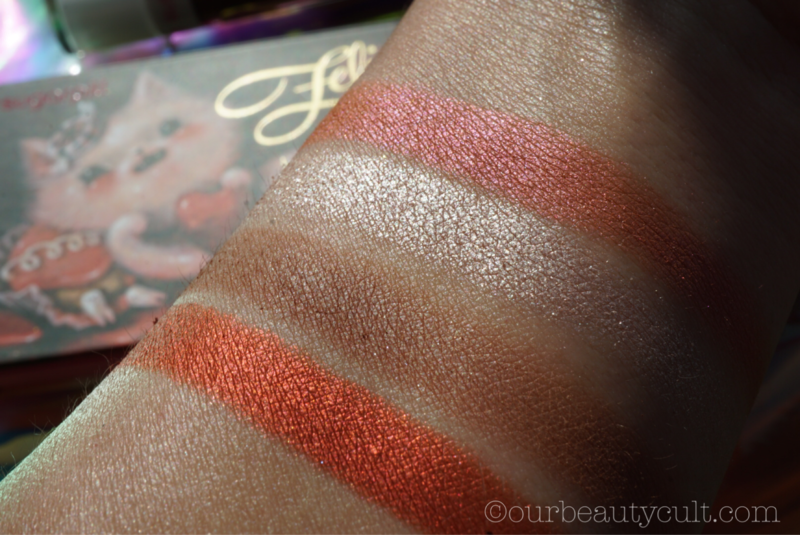 The Sugarpill Feline Fancy is a set that comes with a palette and a liquid metallic lipstick, I will review both here. 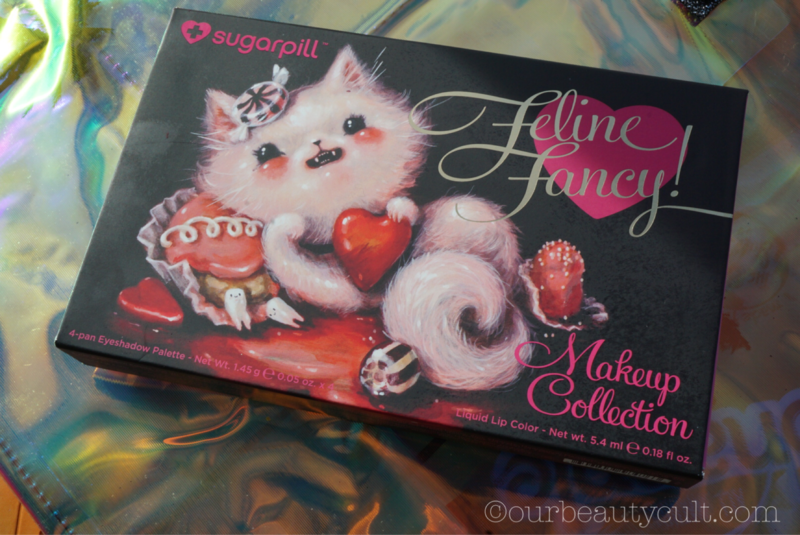 It comes in a box that you slide out to find enclosed the palette and the lipstick, it has a very pinup style drawing of a kitten which characterizes Sugarpill packaging and aesthetics. 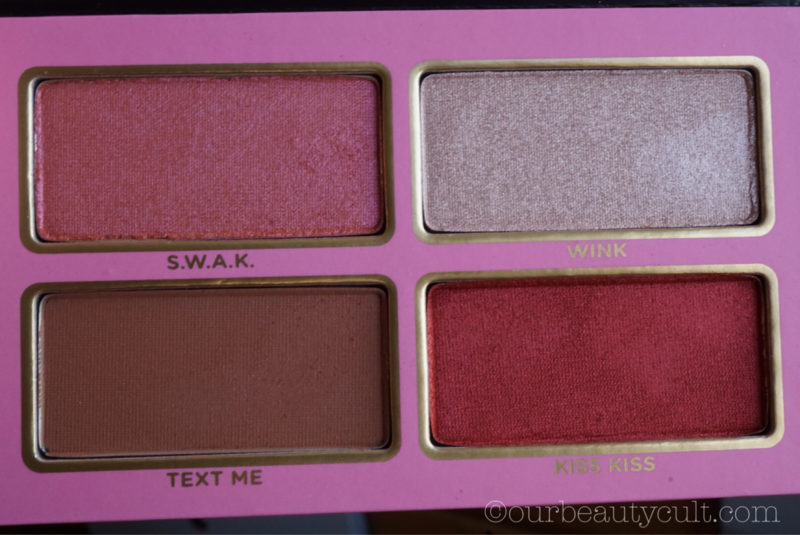 The palette itself only contains 4 shades so at $48, it means the lipstick (considering it at $18 since its full sized) comes out to $30. 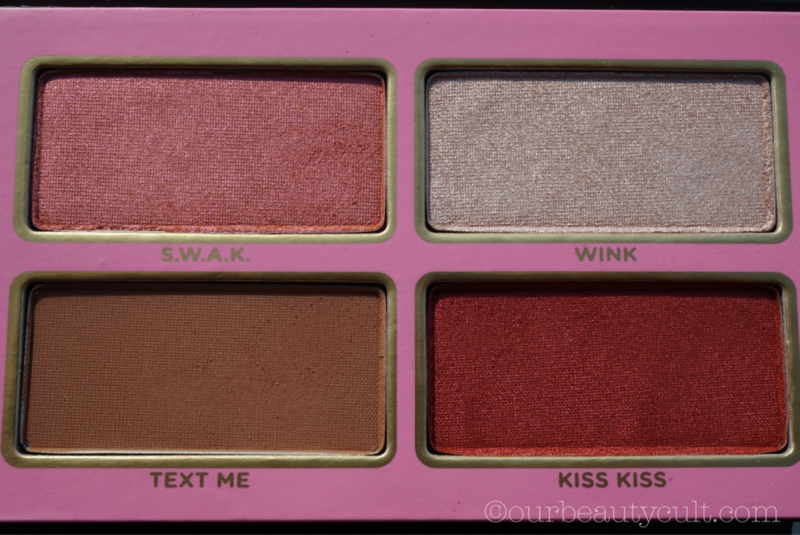 The palette has large square pans at 0.05 oz x 4 and the shadows can double up as blush/highlighter/bronzer. S.W.A.K. 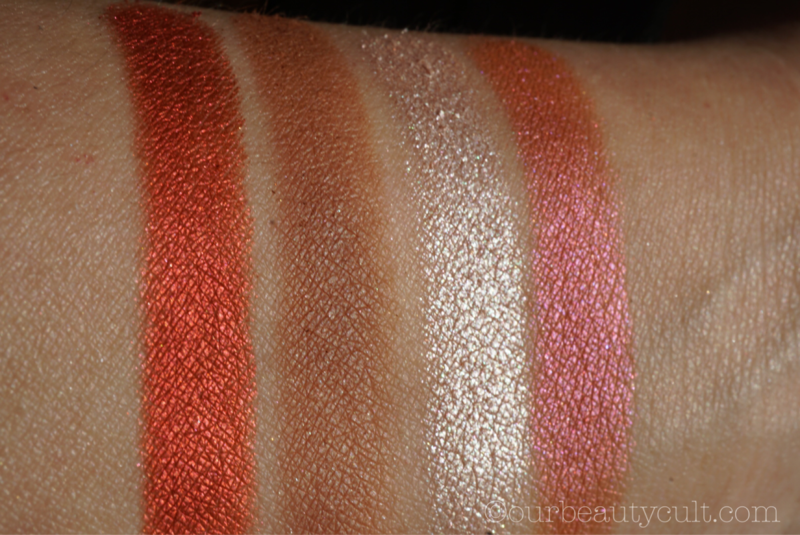 – Foiled rose petal pink with gold duo-chrome, “Sealed With a Kiss” it’s smooth and finely milled with a gold shift, I’ve seen similar shades in the peach family so it’s nice to see it in pink. 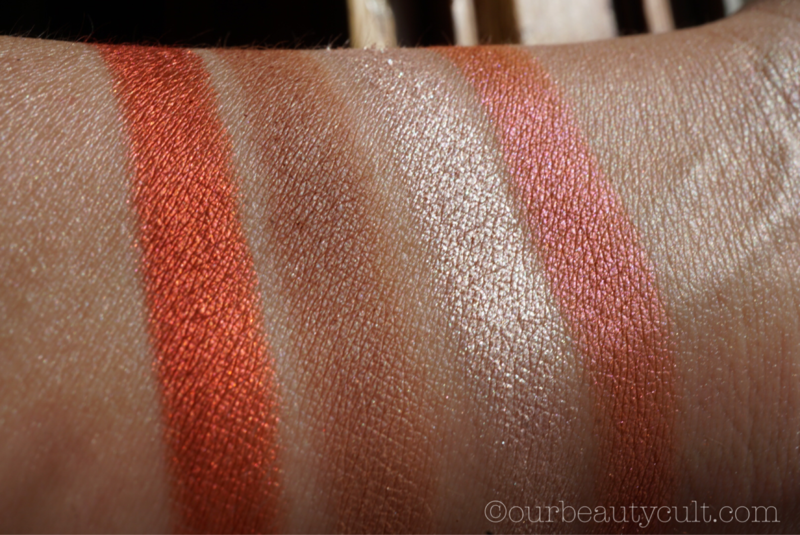 Eyeshadow: WINK – Foiled soft baby pink champagne, doubles as an all-over highlighter. 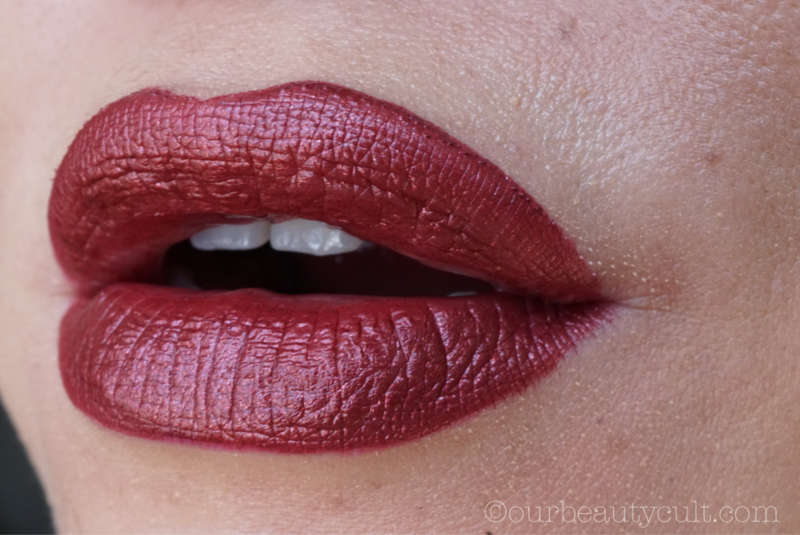 It’s similar to ColourPop lunch money. 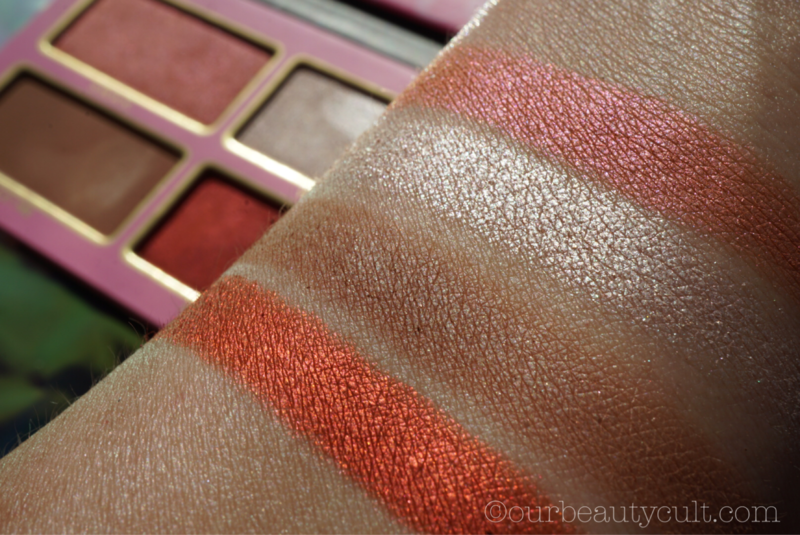 Eyeshadow: TEXT ME – Warm matte brown, the perfect transition shade and also can be used as a bronzer. 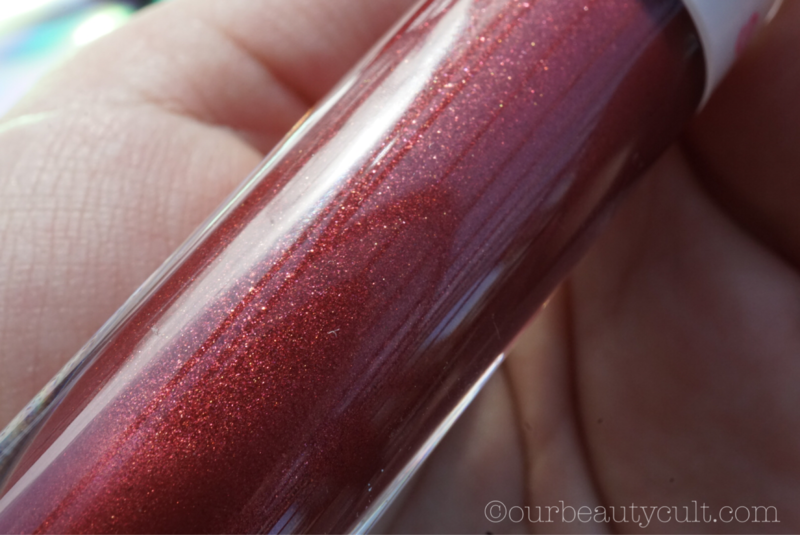 Eyeshadow: KISS KISS – Vibrant, foiled red with gold sparkle. 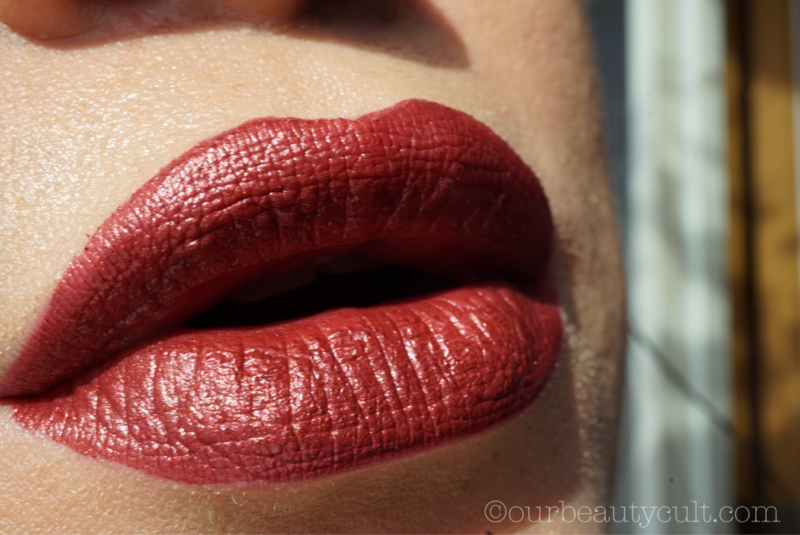 Liquid Lipstick: STRANGE LOVE – Deep metallic oxblood red with sparkle. Creamsicle scented. 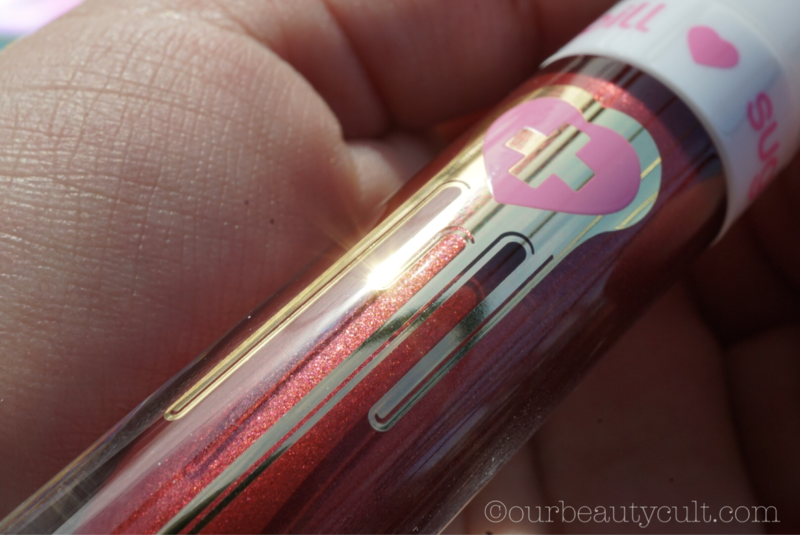 I didn’t smell any scent but I did notice the formula is lightweight and easy to apply. 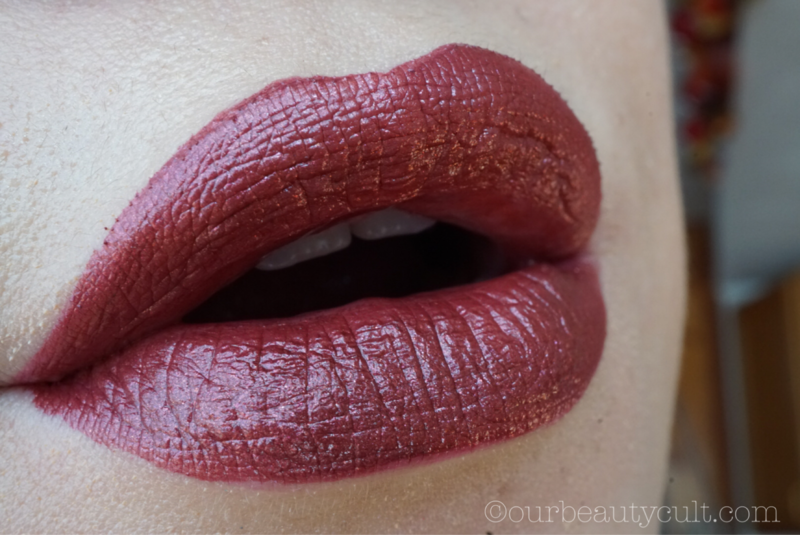 It does transfer but it’s soft comfortable feelin worth every stained glass you leave. 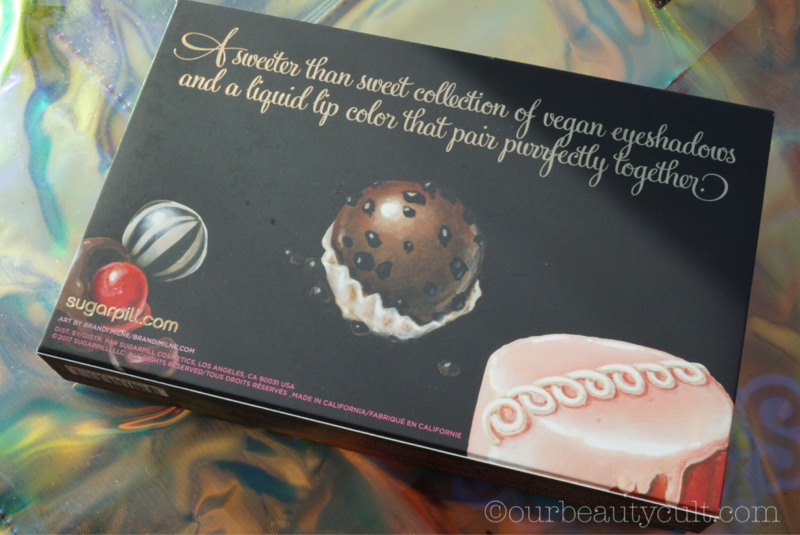 I imagine this set on the future will probably be sold separately but for now, it’s cute shades but not everyone is into metallic lipsticks nowadays. If you wish to purchase through our link click Here.